The BBC’s Research and Development arm has been working on prototype projects with BBC Children’s that make use of voice user interfaces. 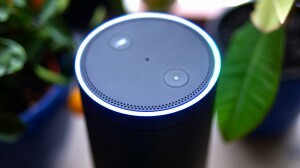 Revealing details of the collaboration in a company blog post, BBC R&D said it had created two software prototypes – one that runs on Amazon’s Alexa platform and one on Apple’s iOS. “The iOS prototype is of an experience in which children are invited to make animal noises during a musical story – their noises are then recorded and used in a song at the end of the experience,” said BBC senior producer and creative technologist, Henry Cooke. “Since recording audio is not currently possible on Alexa or Google Home, we used iOS. However, the platform is irrelevant in this case – we’re testing the experience, not the platform – and in user testing sessions we hide the phone and use a hands-free speaker to focus attention on the sound. The Alexa prototype focused on an interactive audio episode of geography adventure show, Go-Jetters where pre-recorded snippets could be triggered by trialists. The work is part of a wider BBC R&D project called Talking with Machines, which aims to understand how to design and build software and experiences for voice-driven devices. The project has two main strands: a practical one that builds working software to understand the platforms; and a design research strand that aims to devise a general approach to creating voice interfaces independent of any particular platform or device. News of the BBC Children’s prototypes emerged last week, at the same time as the BBC announced that BBC Children’s will receive its largest cash boost “in a generation”. The new investment will see the BBC Children’s annual budget rise to £124.4 million by 2019/20, up from £110 million today, with BBC director general, Tony Hall, making it a priority to combat the growing influence of US-based subscription VOD services Netflix and Amazon.